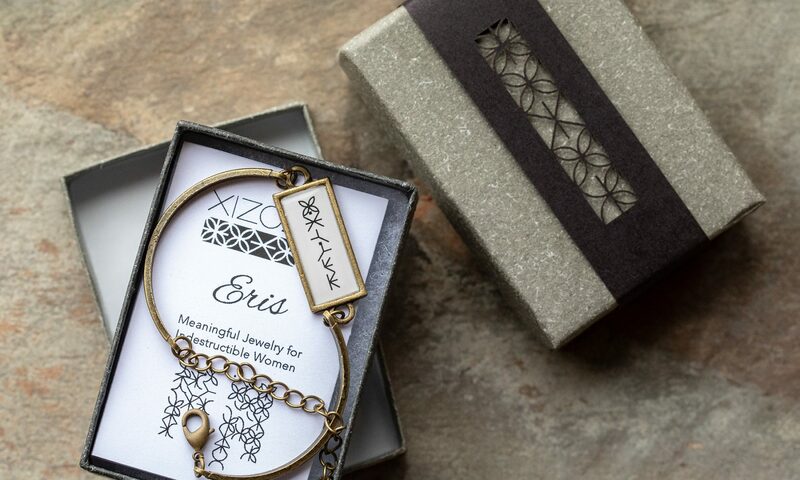 So very excited that the very first Eris Bracelets were shipped or delivered today to some very inspiring women! These special bracelets remind women of their own incredible power and courage. They are celebrations of accomplishment, healing and determination. I am continually humbled by and in awe of the women who wear XIZOZU. They truly are indestructible women! Creating a life that’s more than standard! 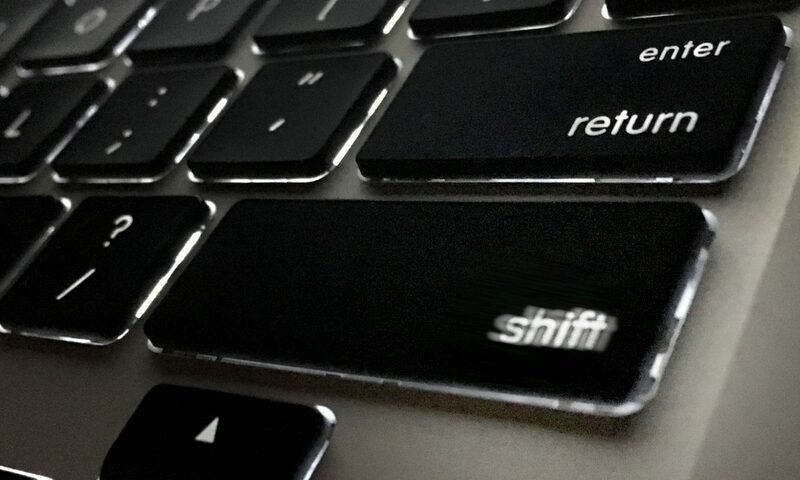 What I learned this week about the incredible change that can happen from small shifts. APPROACH: Whenever I give my OCD friend who loves to clean a hard time, she tells me I’m just compulsively messy. Touché. Imagine my glee when I learned we can all have tidy houses without donating entire days to cleaning the them! Wheeeee! TIME: Speaking of time not spent doing something, imagine what you could accomplish just by changing how you spend ten minutes a day? After spending 10 mintues reading One Hundred Blocks, I’ve been loosely tracking my day in ten minute blocks. If nothing else, this helped put the time I waste on social media into perspective. We made an easily printable form for you to try it yourself. GAZE: SpaceX is tackling one of the obstacles to life in the final frontier: sustainable transportation. Elon Musk hopes to launch his Tesla roadster into space early this week. No really. GROOVE: Drop a retro Nightshift vibe onto your next music playlist: Marvin Gaye and Jackie Wilson have a timeless soulful verve. STANCE: Wait, I changed my mind – and why it’s a good thing. Or, are our minds made up and nothing will change them. POSITION: Downward facing or upward facing, I still rarely do either of them correctly. Even so – a little free yoga is always good for realigning your body and your adjusting spirit. Every life deserves a medal. Get yours. The XIZOZU 8 is a regular collection of eight ideas that our friends and fans might find helpful. Subscribe and get it delivered straight to your inbox. Last week the two of us were having an emotionally intense conversation when she laid her hand ever so lightly on the three XIZOZU™ she was wearing, then, as if pushing some sort of activation button, pressed them against her breast bone. She lightly exhaled and as quickly lowered her hand back to the table and lifted her glass of ice tea to her lips. It was a gesture she and everyone else in the busy restaurant might have easily missed. But I got tingles. The way she touched the medals she was wearing was so completely familiar. It’s something I had recently realized that I do often, sometimes absentmindedly as you might play with any jewelry, but often I do it with intention, as she just had. I especially find my fingers on my XIZOZU™ when I’m wearing specific medals. 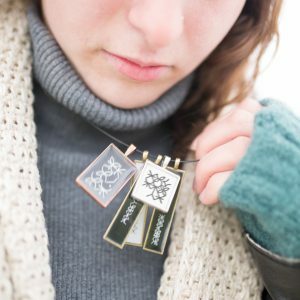 Two pendants I wear often honor the loss of my father to suicide. Those I find I reach for them throughout the day when they’re dangling from my neck and when I connect skin to metal I feel a closeness to him and his memory. It’s comforting and quieting. I thought it was just me. I love that it ‘s not. Without making me sound like more of a party animal than I actually am, a couple of weekends ago I wound up at two local parties on the same day. Both were casual outdoor gatherings commemorating summer’s passing. 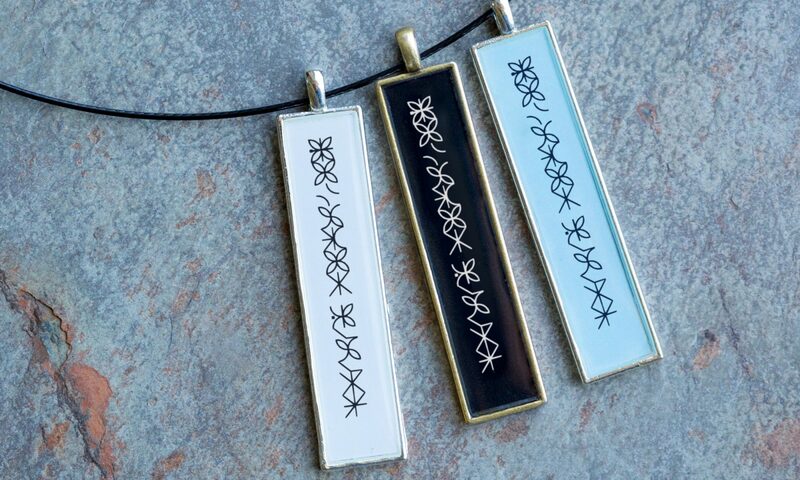 Someone was wearing a XIZOZU™ medals pendant at each of them. 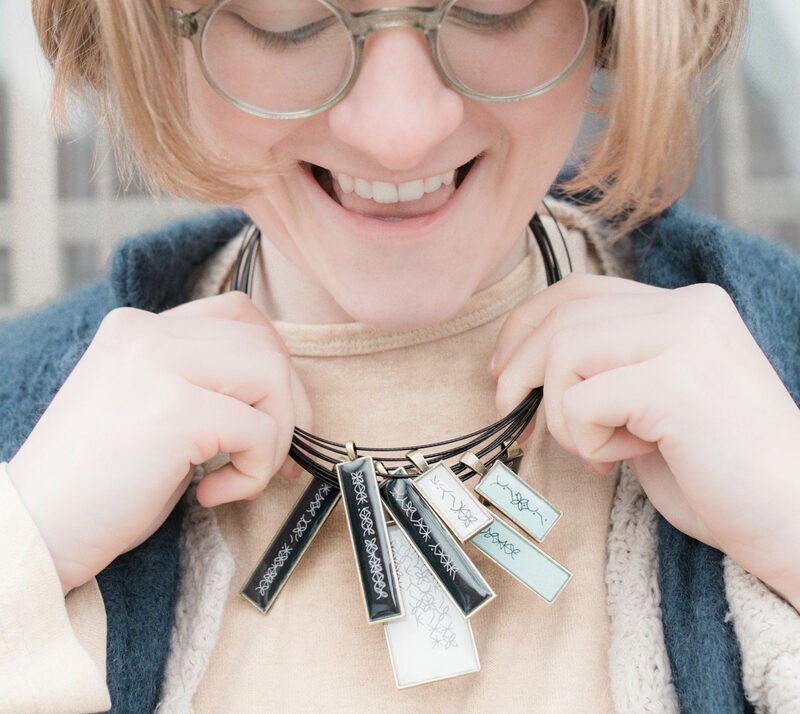 Confession: I still (and will probably always) get a little thrill when I unexpectedly spot someone sporting XIZOZU™ pendants out in the wild. 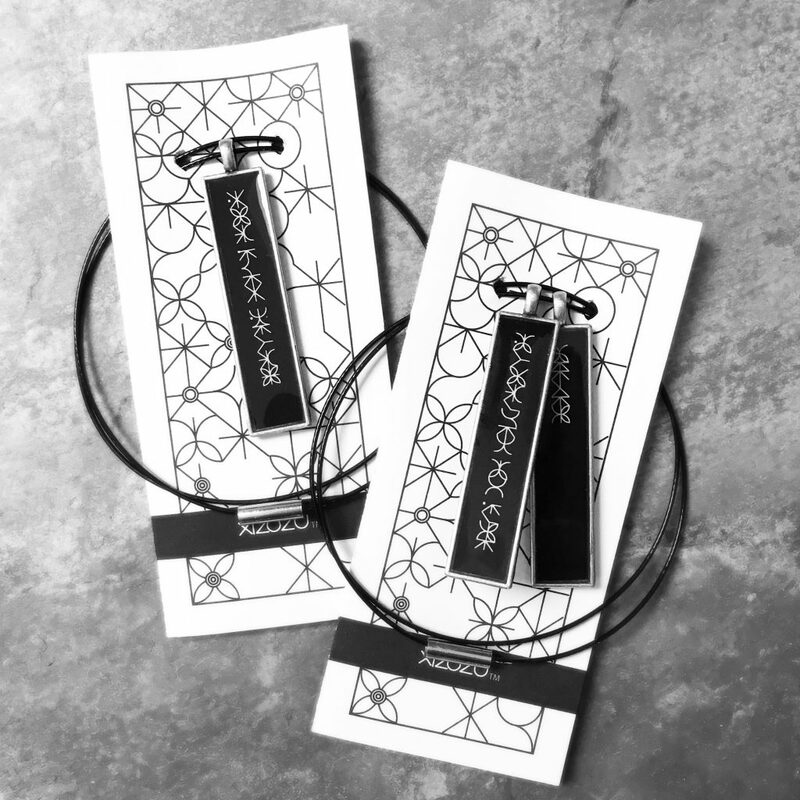 At the first party the woman wore three classic bronze with black pendants close to her heart dangling from a leather cord. At the second the woman wore three similar medals but closer to her neck on a black wire choker. Those two women were as uniquely opposite, at least on the surface, as two females can be, as were the medals the wore. Yet they were both quite similar too. Both were equally and rightfully proud of what they had accomplished. The first woman’s set honored overcoming challenges, the second woman’s set celebrated meeting them. Similar results, but with a small but significant difference. Sometimes we choose our challenges, like deciding to run a marathon or buy a home. Here we need to focus our energy and summon our discipline to achieve these things. Other times challenges appear in our paths uninvited, and we have no choice but to find a way through, or around them. Those hardships and traumatic episodes require us to fight for our selves, in the truest, deepest meaning possible, physically or mentally. In each case, the work is hard. In both cases they deserve medals. Hurricane Harvey. How it Will be Remembered. This XIZOZU™ was custom-designed for those who experienced loss and trauma at the raging will of mother nature in Texas last week. It’s for the Houston mother who kept softly singing as she rocked her children—watching the waterline rise on the wall. It’s for her parents in Seattle waiting by the phone to hear she’s ok. It’s for that determined young woman who carried her dog through the waist-deep waters. It’s for the countless neighbors and strangers who became a human chain of heroes or appeared as angels in waders and boats without waiting to be asked. They are inspirations to us all. And they are what we will want to remember most once the waters and worry recede. But how? Growing up, everyone in my family was an alcoholic or an alcoholic-to-be. That’s not an exaggeration. Everyone. Except me. I’d like to say witnessing alcohol’s destruction was the reason I didn’t develop the habit. Or that through genetic bingo I hadn’t inherited the addiction gene. But neither are true.